Storytelling plays a big part in a lot of our favorite mediums today; whether that is movies, books, music, or even video games. The Sims is no exception to storytelling, and our Community is filled with amazing storytellers who use our game to recreate their personal stories or to let their imagination run wild. 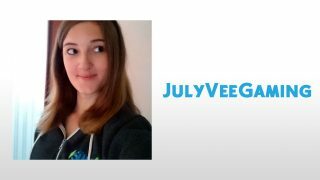 One such member of our Community, JulyVeeGaming, has four different and unique stories that keep us coming back for more - so we decided to sit down for a quick chat to see what the inspiration is for her storytelling. My name is Julia, I'm a 22 year old girl from Germany currently working as a scientific software developer. My main hobby is playing video games, but I also enjoy being creative with painting or writing. I've been playing The Sims since the release of The Sims 2 but I only discovered the whole community around it in 2015. The storytelling community especially drew me in because I love reading and storytelling. 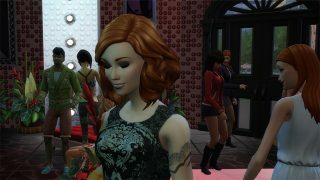 Since then I've started a Sims Story Blog and a Youtube Channel to create stories with my sims. It's opened up a whole new world of creativity for me! What inspired you to start so many different stories? I first discovered what is referred to as SimLit (meaning Sims stories) through a spotlight on this blog, actually. It led me to The Sims Forums where there is a huge community of storytellers who write amazing stories illustrated with The Sims. I started reading a lot of them and got into the community pretty quickly. I haven't stopped hanging out there ever since. Of course, reading all these stories made me want to start my own! I started of with only one, an amazon challenge, just like the one I read about on this blog. But soon I wanted to branch out and create something different. Inspiration can come from many different places. Challenges often inspire me to start stories because a challenge gives you a good base but you can still make it entirely your own. For example, my story “Discovery” is based on The Room Challenge but it has a full blown storyline of its own involving evil scientists and a strange new world. I know at least five room challenge stories and they are all different although based on the same thing. Both my “Amazon” story and “Discovery” are very plot-focused meaning they're both written somewhat in the style of a book and sometimes have pre-planned storylines. This type of Sims storytelling is fun and rewarding and lets you be most creative but sometimes I need a break to just play the game. That's how “Vee is for Vortex” came to be, it's a casual neighborhood rotation which means I just play the game however I want to and take screenshots. Later, I interpret the screenshots and write little captions and thoughts around them. It's not really a story as it is a summary of the hilarious things that happen in my game. But it's a fun thing to do and it also pushed me to explore areas of the game I never had before while also sharing it with others. For example it was in this story that I first pursued the doctor's career! I had another streak of inspiration while watching a TV show. 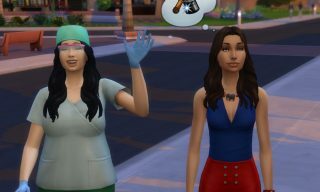 I wanted to create a realistic Sims story involving lots of drama and intrigue. “Until it Breaks” is entirely pre-planned and it's great fun for me to think up the different storylines and how they intertwine. Creating screenshots to fit what you have already written presents it's own unique challenge and that makes it different to my other stories. I even branched to out to creating stories on YouTube with Machinimas and Let's Plays. But my original Sims story blog will always be special to me. Wow, this is a novel. I guess the essence is that sims stories come in so many different variants that I wanted to explore more of them! When inspiration struck I just couldn't resist. Who are some of your favorite community storytellers? • CitizenErased14: Her stories are absolutely spectacular. She started off with “Dust to Dust”, a story about a young boys friendship with a ghost but with a twist! Later created “Ashes to Ashes: A Legacy”. Both stories are packed with plot and drama. I promise you, you'll never want to stop reading. • ThePlumbob: This was one of the first Sims stories I read and it's still going strong! It's called “The Bloomer Legacy” and it's based on the “Build Newcrest” challenge, but there's so much more to it! ThePlumbob is great at interpreting her Sims' actions and spinning them into stories. Not a lot in this story is pre-planned but it always works out so well and keeps you coming back for more! For more recommendations, you could check out my “Sims Story Feature” series on my Youtube Channel where I showcase my favorite Sims stories. What tips would you give to someone looking to start their own story blog? When you first start your blog, don't worry about views. It takes some time to get your story out there. Consistency attracts readers because they want to make sure you won't abandon your story after three chapters before they commit to reading. It is important to start a story you are interested in writing otherwise writing will soon become a chore and it won't be fun. So just have fun writing and readers will come in time! Also, the Sims forums have a friendly section for writers where you can meet some great people, get advice and post your stories. For more technical advice I have made a “Quick Guide to SimLit” on the forums which contains tips about what blogging site to use or how to best deliver updates to your readers. To stay up-to-date on all things The Sims, be sure to follow us on Twitter, Instagram, and Twitch, Like us on Facebook, and Subscribe to our YouTube channel.